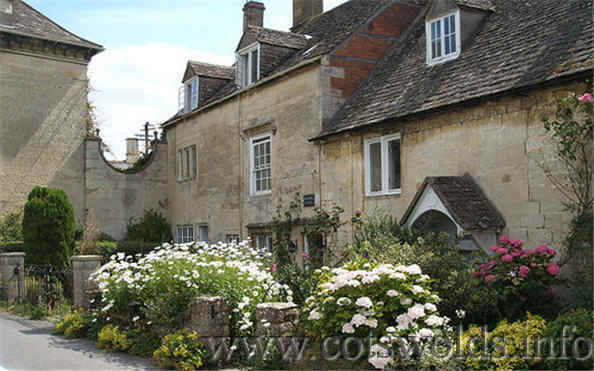 The Cotswolds village of Painswick (known as The Queen of the Cotswolds) is a delightful little town with several places for accommodation and only three miles from the larger town of Stroud where the mainline railway station can be found. Painswick is only 10 miles from Cheltenham Racecourse and so is a convenient place to stay for the horse racing and has several restaurants, hotels and Inns. 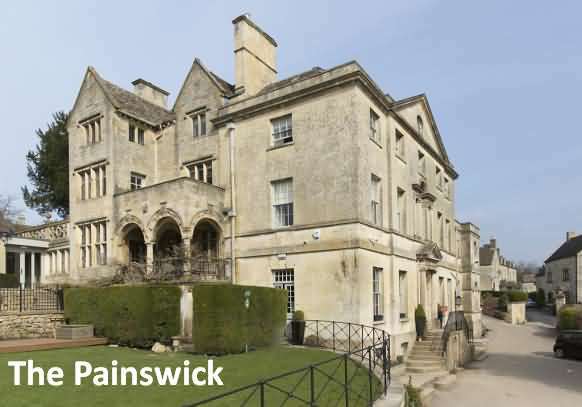 Overlooking the Slad Valley, The Painswick offers accommodation in the Cotswolds town of Painswick, in the Gloucestershire Region. Guests can enjoy the on-site restaurant. The hotel offers free WiFi and free on-site parking. Each room offers garden views. The Painswick has two beauty and spa treatment rooms. Guests can also enjoy the sun terrace which overlooks the garden. There is also a 24-hour front desk. The hotel also offers car hire. Cheltenham is 9.3 miles from The Painswick, whilst Bristol is 28.6 miles away. The nearest airport is Bristol Airport, 35.4 miles from the property. This property is also rated for the best value in Painswick! Guests are getting more for their money when compared to other properties in this city. Set within landscaped gardens, the Court House Manor offers free WiFi throughout and free onsite parking. In Painswick, in the heart of the Cotswolds, this luxurious country estate dates back to the 16th century. The en suite rooms include a TV. All rooms come with a hairdryer, toiletries, ironing facilities and tea/coffee making facilities. The Court House Manor’s grounds are ideal for outdoor activities, including badminton, croquet and lawn sports. Guests can relax in the onsite sun terraces and patio areas, or choose to trek around the nearby Painswick Beacon. Overlooking the Severn Vale, Hatton Court Hotel features free Wi-Fi, a modern restaurant and spacious, elegant rooms. Just 5 minutes (2.5 miles) from Painswick, it provides free parking. In a period building, the rooms at Hatton Court include and coffee facilities, work space and a TV. All have a private bathroom with free toiletries. Some have spa tubs and countryside views. The Tara Restaurant serves a creative British menu using seasonal produce. The bar serves a selection of beverages and a world wine list, and there is also a terrace with panoramic views out over the Severn Valley. 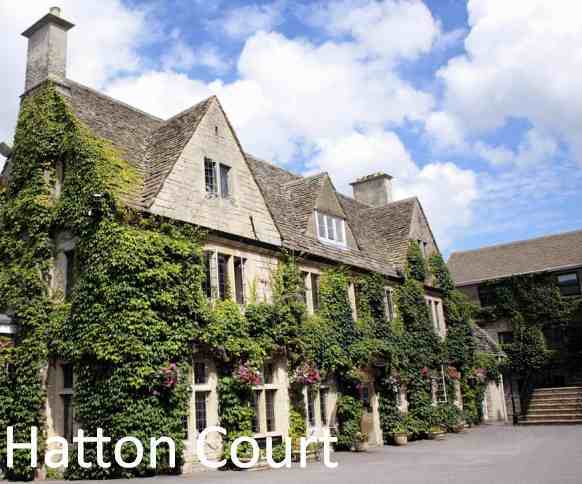 In the Cotswolds, the Hatton Court is just a 20-minute drive from Cheltenham center and only 25 minutes from Cheltenham Racecourse. Gloucestershire Airport is a 10-minute drive away and the M5 highway can also be reached in 10 minutes. Croft House Guest Suite Painswick is located in Painswick (2.9 miles from Stroud) and just 29 miles from Bath. Free private parking is available on site. Each room is equipped with a flat-screen TV. Some accommodations include a sitting area to relax in after a busy day. You will find a kettle in the room. For your comfort, you will find free toiletries and a hairdryer. A variety of activities are available in the area, such as golfing and biking. 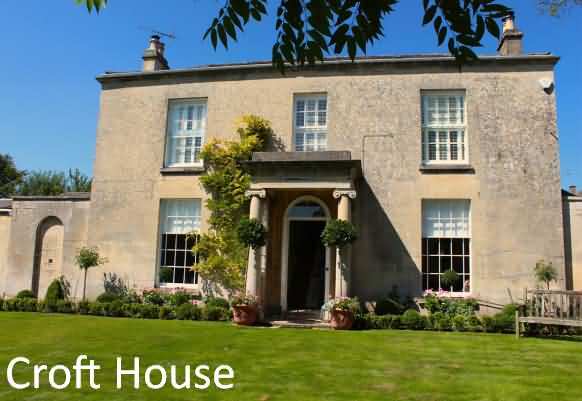 Bristol is 29 miles from Croft House Guest Suite Painswick, and Cheltenham is 9 miles away. The nearest airport is Bristol Airport, 35 miles from the property. This property also has one of the top-rated locations in Painswick! Guests are happier about it compared to other properties in the area. 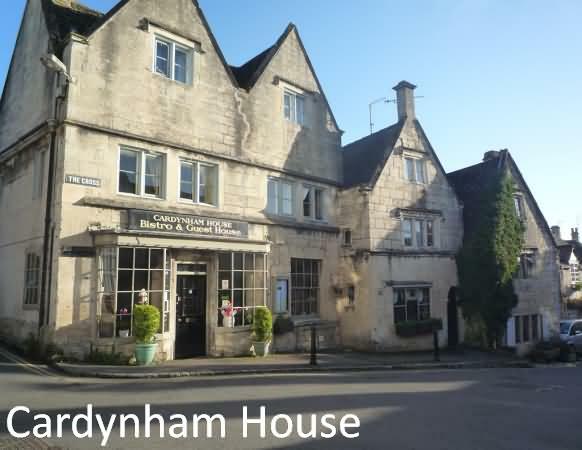 Cardynham House is a charming 15th-century building offering 4-star service in the picturesque town of Painswick. 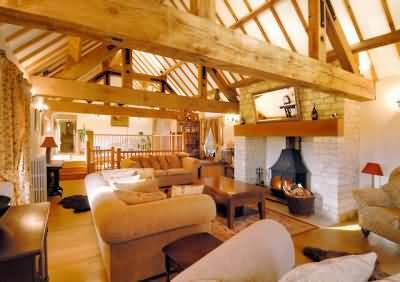 It has large rooms with free-standing oak beams, and offers an individually-prepared, luxurious breakfast. Rooms at Cardynham House are warm and cozy, and all feature private bathrooms and LCD TVs. The hotel has a lounge with an open fireplace, and a sun room overlooking a private courtyard area. Guests can dine at Cardynham’s Bistro restaurant, which features locally-sourced ingredients and a number of daily specials. The breakfast menu includes a traditional English option, pancakes, and oatmeal. Surrounded by beautiful countryside, Cardynham House is located in the heart of the Cotswolds, just off highway M5. Painswick’s Rococo Garden is 5 miles away, and Cheltenham is just a 20-minute drive away. 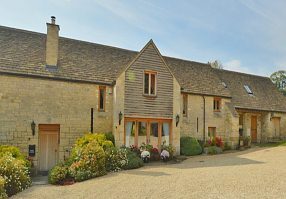 Barncastle is a large, recently converted Cotswold stone barn nestling in the beautiful Painswick valley built on the site of a Medieval Castle, owning some outstanding countryside views over the Cotswolds. This gorgeous holiday home is close to the lovely Cotswold towns of Painswick and Stroud and within a short distance of nearby Historic Gloucester, with its excellent transport links and beautiful Cathedral, and Regency Cheltenham with its wonderful restaurants, shopping and Racing. Barncastle will sleep 10 comfortably, with cot and highchair available on request. There is ample parking at the front of the property. The barn is accessed through either the Oak door to the left, or the large glass doors in the centre. Comprising of a small sitting room with Oak Flooring and French Doors leading outside. Furnished with double bed, wardrobe, chest of draws, a comfortable sofabed and extra seating. Bedroom with Oak Floor furnished in a classical style, with a double bed, chest of drawers and wardrobe. Bedroom with two single beds, chest of drawers and wardrobe. Two bathrooms, each with shower, basin and WC. The beautiful Dining Hall can be observed from a breathtaking Oak gallery. The Hall is floored with Oak and boasts a large Cotswold stone Inglenook Fireplace. There is a dining table and chairs to seat 10. The beautiful, fully-fitted kitchen has a traditional stone floor and includes large American-style fridge, range cooker and dishwasher. Utility Room with washing machine and tumble dryer. Spacious, beamed galleried living room with open fire, oak floor and sofa-bed (for +2). Bedroom with king-size bed and ensuite, with freestanding clawfoot bath, basin and WC. Bedroom with classical style double bed. Second bathroom with shower, bath, basin and WC. 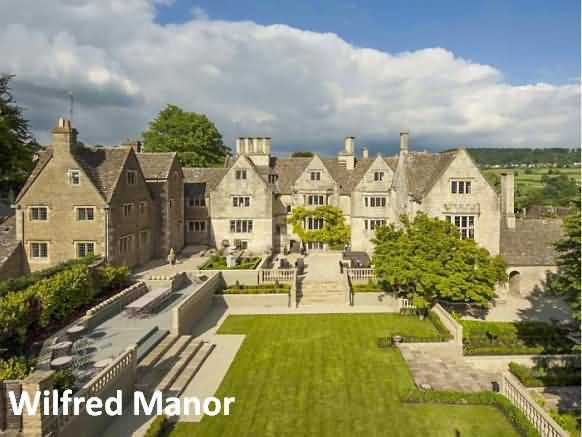 Wilfred Manor is an expansive Grade I listed manor house, exceptionally restored to the finest standard of modern luxury, yet staying true to its long and prestigious history. King Charles I is in fact said to haunt the four acres of landscaped gardens, after he took refuge within the manor during the siege of Gloucester in 1643. Each of the bedrooms have been given a unique theme that compliments the original 17th century architecture whilst offering spacious en-suits, exquisite furnishings. Each room offers a different perspective on the stunning landscape of the Cotswold Hills, including the woods above Slad Valley and the famous church spire of Painswick. 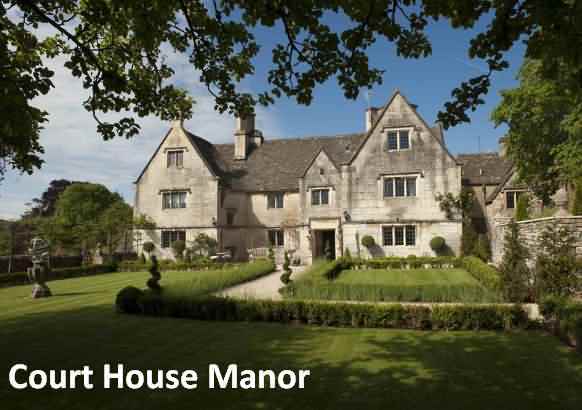 A sought after wedding venue, the manor house can sleep up to 22 guests with access to extensive facilities including a jacuzzi and sauna, whilst catered for by a team of passionate staff. The local area remains tranquil and picturesque, yet offers a wealth of traditional English country past times such as horse riding, shooting and hiking. 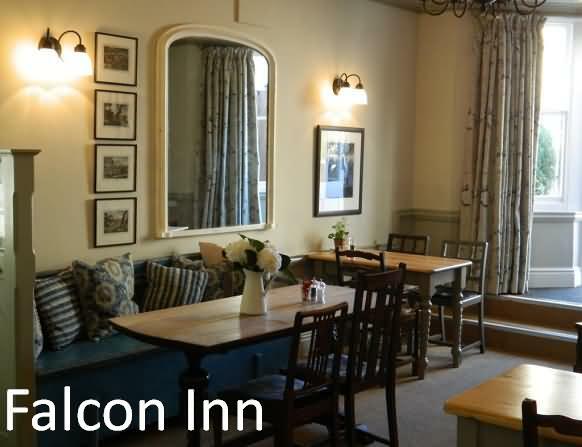 In the heart of the Cotswolds, in picturesque Painswick, Falcon Inn features a traditional bar and restaurant. The hotel is centrally located for exploring the Cotswold Way, Gloucestershire Hills and the surrounding valleys. The hotel’s restaurant provides guests with a varied evening menu, along with specials, snacks and lighter meals at lunchtime. There is a traditional, cozy bar area, as well as a livelier bar that provides TV, pool and darts. The hotel has 12 spacious bedrooms, all with luxury down-feather bedding and a private bathroom. Each also comes with a TV, a hairdryer, and tea/coffee facilities. Free Wi-Fi is also available. The Falcon is a 20-minute drive from Cheltenham and a 10-minute drive from Painswick Rococo Garden. Parking is free at the hotel.